VeMarS is a consortium specifically dedicated to the training and education of seafarers as envisaged by national and international regulations under STCW Convention '78-'95. The school was founded in 2004 by a group of public and private entities: Actv S.p.A., Venice Port Authority, Pianura Armatori S.p.A., SSMC S.n.c. VeMarS offers one of the most sophisticated maritime simulators available in Europe for the training of merchant navy officers, in addition to suitably equipped classrooms for the theoretical part of the training. VeMarS' instructors and teachers make up a well-tuned team that has worked together for many years and are all certified by the State Administration. The final exams that lead to the final certificate are held at the VeMarS facility. 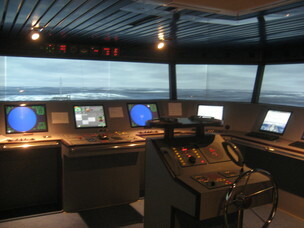 The naval simulator is located in a facility of 175 sqm. and includes six interactive ships controlled by two stations and an exercise briefing and debriefing room. The simulation system was approved by the Ministry of Infrastructure and Transport and also by the British DOT/MCA. 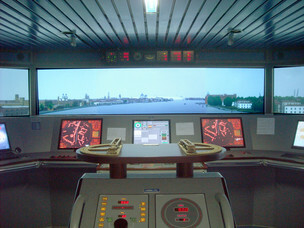 The naval simulator can be operated through 39 networked personal computers, 27 20" and 23" TFT monitors and 10 projectors. Communication between ships and instructor stations simulate the onboard VHF systems. The instructor checks how the exercise is being performed from the main station and a ten-channel viewing option assures a 300° visibility of the simulated horizon. The structure and equipment of the simulated ships are planned on strict anthropometric and ergonomic principles and can be operated from a standing or sitting position. The system is updated to the most recent EMSA requirements and it is possible to record and trace all radar/ECDIS data relating to completed exercises. The main simulator ship has been created based on the standards envisaged by the INS “C” system. The simulation system software was created by Transas Marine.